The excitement for Godzilla: King of Monsters is about to go up to Eleven. 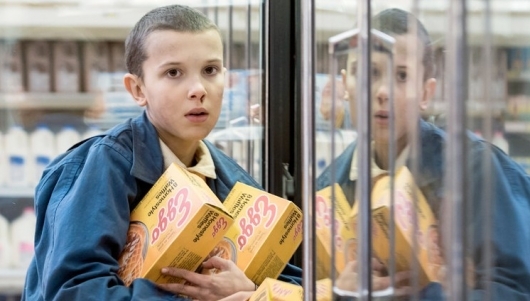 That’s because Stranger Things star and rapping extraordinaire Millie Bobby Brown will be joining Legendary’s long-awaited Godzilla sequel. More on the story below. THR was one of the first to report on the news. 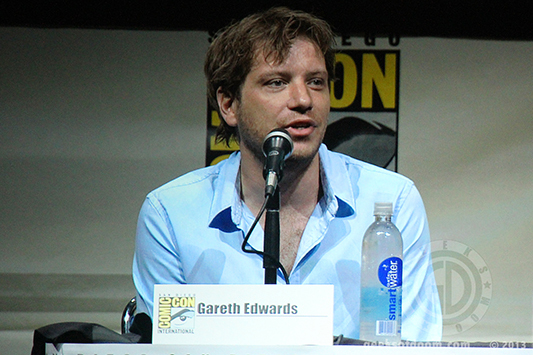 Plot details are being kept under tight wraps, so we don’t know how much, if anything, has changed since Gareth Edwards left the project. 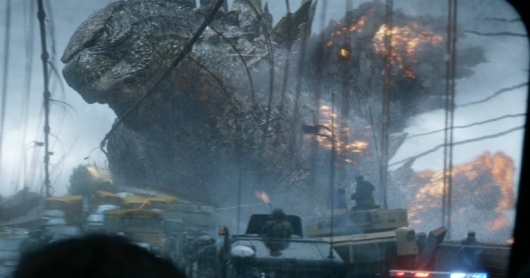 When we last heard about the sequel at the 2014 San Diego Comic-Con, Edwards teased the appearance of legendary kaiju Rodan, Mothra, and King Ghidorah. The next Godzilla, which we’ve simply been calling Godzilla 2, and the sequel to Pacific Rim, previously known as Pacific Rim: Maelstrom, have both been given shiny new official titles by Legendary Pictures. 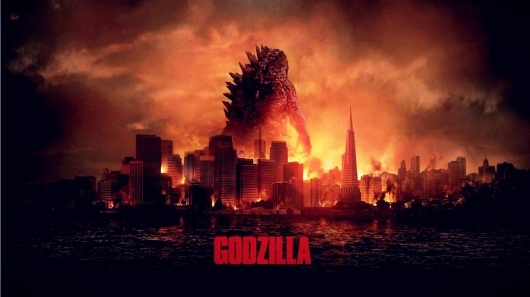 The studio has revealed that the sequel to director Gareth Edwards’ (Rogue One: A Star Wars Story) 2014 Godzilla reboot will be called Godzilla: King of Monsters—inspired by Godzilla: King of the Monsters, the title of the 1956 U.S. release of Japan’s original Godzilla—while the sequel to director Guillermo del Toro‘s (Pan’s Labyrinth) own 2013 monster movie Pacific Rim will now be called Pacific Rim: Uprising. 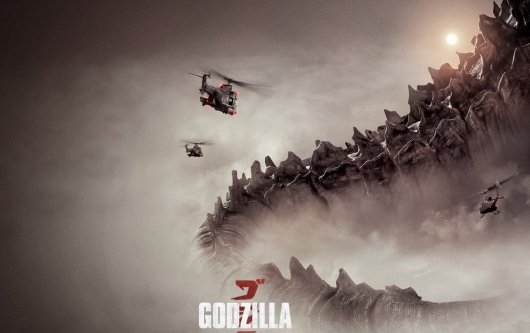 Godzilla 2 will now have to find a brand new director as Gareth Edwards has left the project. Following the success of Godzilla, he signed on to direct both its sequel as well as A Star Wars Story: Rogue One. But now new reports confirm that Edwards will no longer be directing Godzilla 2, but the reason may be more surprising than you think. More on the story here below. Last month brought with it exciting news for fans of monster movies: the previously announced prequel Kong: Skull Island was moving from Universal to Warner Brothers, setting up a truly monumental showdown of the titans between Godzilla and King Kong. Now Legendary Pictures has officially confirmed their bold shared monster universe, which includes Godzilla, Kong, and others, and they have also confirmed release dates for the previously mentioned Skull Island, Godzilla 2, and a release window for the biggest of them all, Godzilla vs. King Kong. Full details can be found below. The recent shakeup between Legendary and Universal Pictures has had a major effect on their partnership. According to a new report last week’s Kong: Skull Island move from Universal to Warner Bros. is a telling sign that there is a strain between the two parties. But since Universal never officially entered production on Kong, it’s no skin off their back, and as a result of the move, WB has now signed a three-picture deal with Legendary that will have them distribute Skull Island, Godzilla 2, and the untitled Godzilla vs. King Kong film. More on the story below. Two legendary beasts are about to fight for the title of King of Monsters once more. 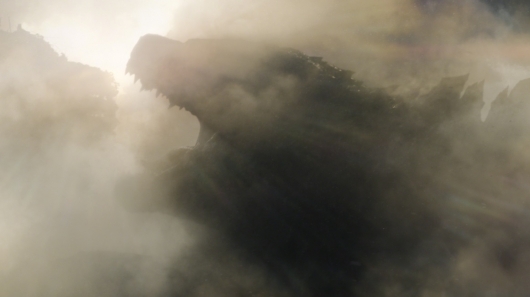 King Kong and Godzilla are set to appear in an untitled mega monster showdown over at Warner Bros. According to a new report, Kong: Skull Island will now be moving from Universal Pictures over to WB, so that the production house can have a shared monster universe under one nice studio. With Legendary already owning the rights to Godzilla, the move makes plenty of sense, but it doesn’t make it any less surprising since Universal is losing yet another major property so that their competition can create a shared universe. More on the story below.